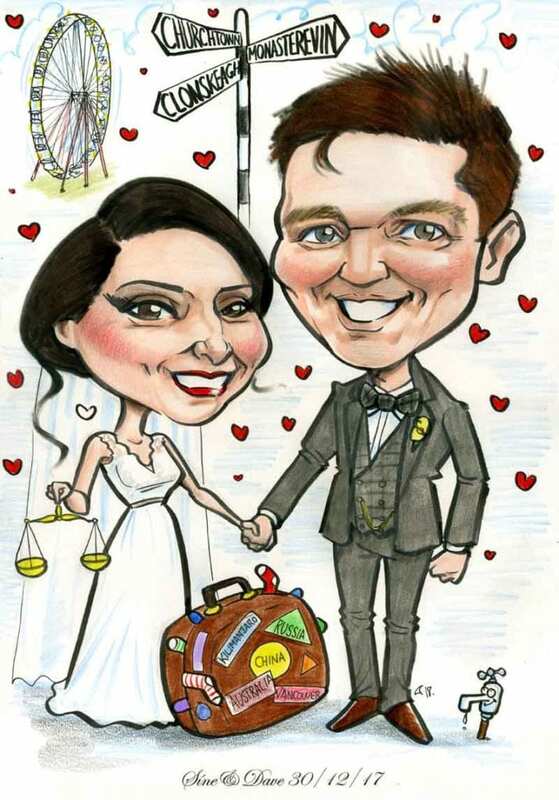 Wedding Invitation Artwork Ideas: Caricature Yourself for Wedding Invites! 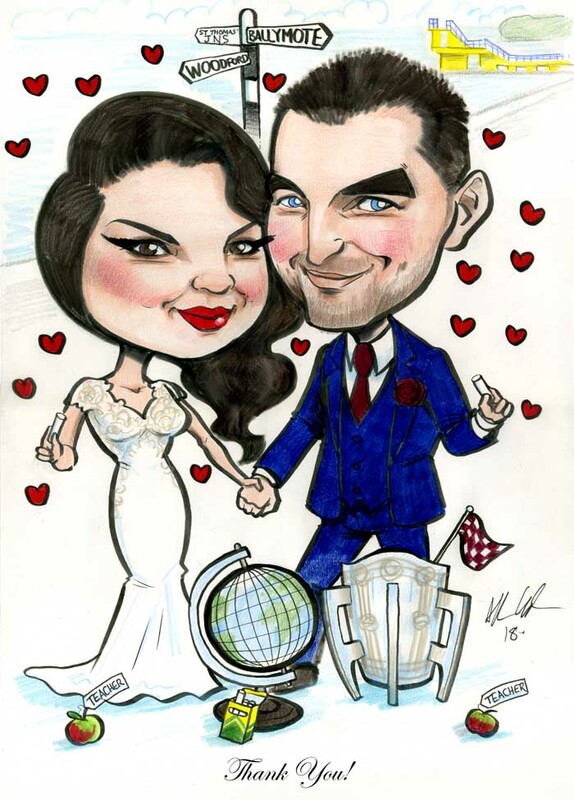 Wedding Invitation Artwork Ideas: this post is about my wedding invite caricatures and how they can be made to whatever specifications you have in mind. 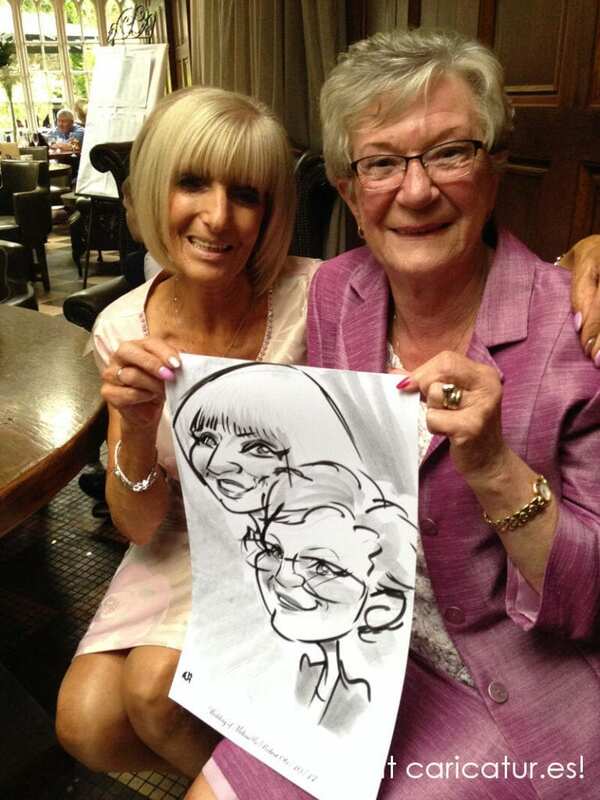 Wedding Entertainment Kilkenny: these are some of the live caricatures I did at a wedding in Langtons Kilkenny last year. I’m very fast and there’s lots of banter with the guests so I have them well warmed up for the rest of the celebrations! 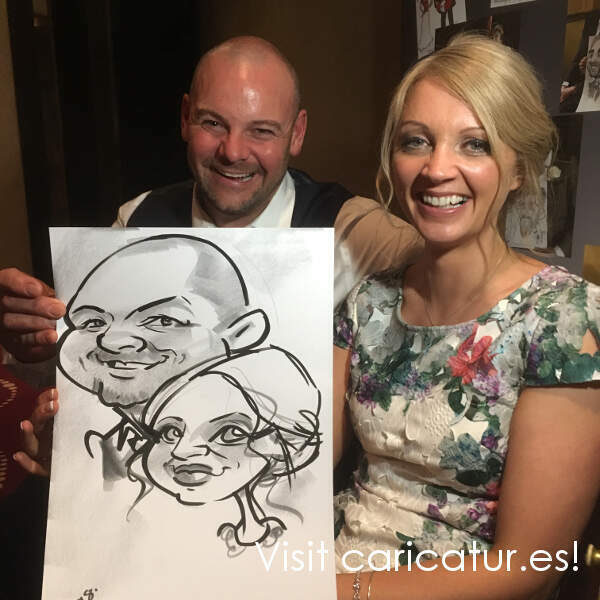 I have some dates left for 2018 so please do drop me a line if you’re looking for a caricature artist for your wedding. I travel all over Ireland so no matter where your wedding reception is you should give me a shout.